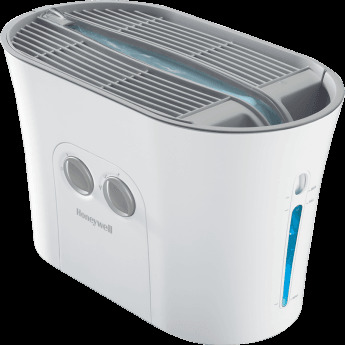 The Honeywell HCM-750 Easy-To-Care Humidifier quickly and efficiently adds moisture to your room, alleviating many symptoms related to dry air such as cracked lips, bloody noses, and dry sinuses. 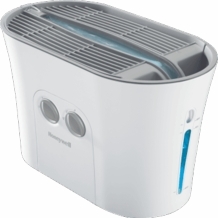 The cool moisture from the Honeywell HCM-750 also eases cold and upper respiratory symptoms. This top-fill humidifier is incredibly easy to use. Adding water is as simple as watering a plant. With 3 control settings and an ability to disperse 2 gallons of cool moisture a day, you can quickly infuse your dry room with soothing, invisible moisture. Coverage Area	484 sq. ft.